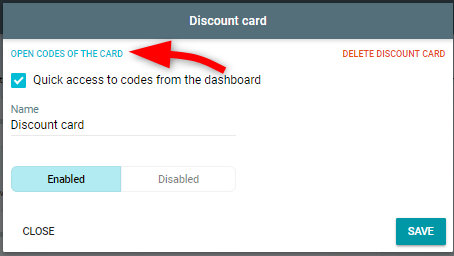 How to set up discount cards correctly? Open the Promotion section. 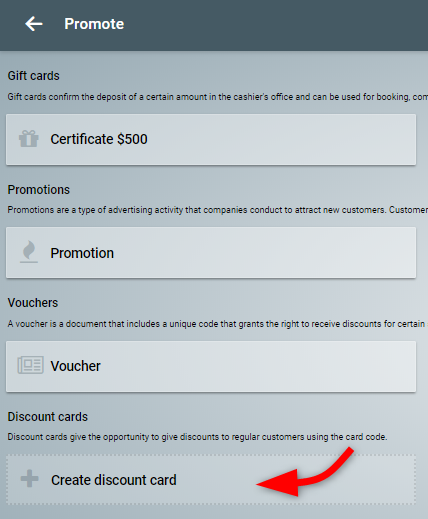 Click on Create discount card. 1. Enter Name. It is used for your convenience. Now open the created map. Click on Open codes of the card. The code table opens. Click Create Code. 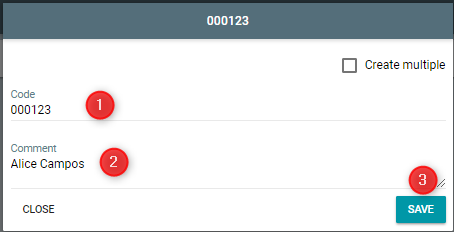 On the create form, enter code. If the code is left blank, it will be automatically assigned. If necessary, provide a comment. For example, the name and surname of the customer. Save. Codes of discount cards reusable. Delete the code if you want to stop it. Now open the resource configuration. Create pricing component. Click on +. Enter the title. It will be displayed in the shopping cart. 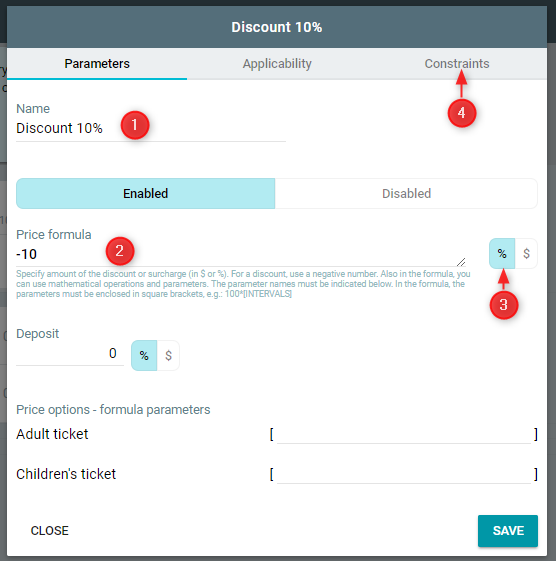 Specify the formula for the discount. For example, -10 and percent. 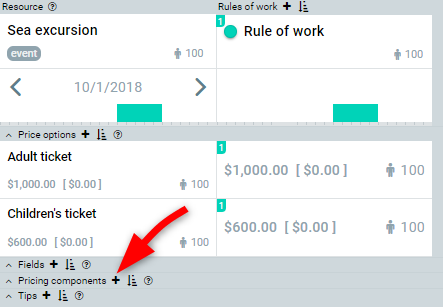 Click the Constraints tab. 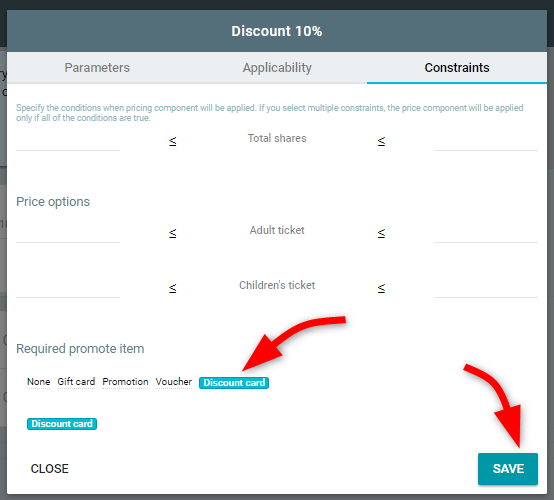 Below choose the promotion tool Discount card. Save it. See the result in action. Create an order and enter the code for the discount 0000123.